Get the full rundown of stories and guests here. My past two internships have been in an office, where I’ve had a morning and afternoon commute, had a limited lunch break, had to wear a suit, etc. But working from home has its own difficulties and opportunities. The Knight Foundation continues to fund the latest projects in news and technology, but the format of the Knight News Challenge might be near an end. In the meantime though, the new round of grantees are specializing in making government more open and effective. Read the rest of the story here, with tons of interviews with the winners and all of their grant proposals in their entirety. Titles, both lofty and lowly, on a résumé really don’t make much of a difference. Yes, more grandiose titles are a great ego boost (the same applies to the name of the organization attached to that title). But your actual experience means much, much more than that. No use being a “fellow” if you’re only getting coffee. 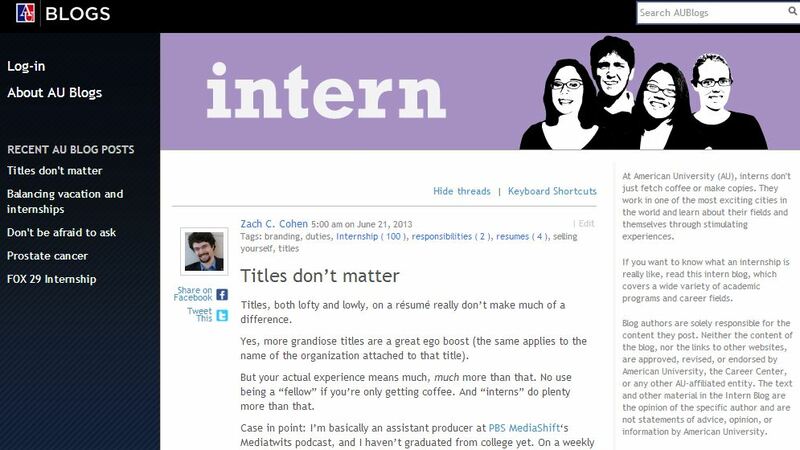 And “interns” do plenty more than that. Read the rest the post here. Would love to hear your feedback here or there. On a personal note, this a really phenomenal video I want to share with you about my home synagouge, Barnert Temple in Franklin Lakes, N.J. This was shown at a gala in Rabbi Elyse Frishman‘s honor a few weeks back, and boy does she deserve it. She has been a force for good and an unending source of wisdom for my family, the temple community, and me. Props to Adam Freelander, the rabbi’s son, who’s videography here is simply tremendous. Do you love photo and video sharing? Then this episode is for you. First, Facebook announced that popular photo sharing and filtering service Instagram will add video to compete with the popularity of Vine, owned by Twitter. Meanwhile, a photographer has sued BuzzFeed for just that kind of sharing, claiming $3.6 million in damages for using his photo of a soccer player — and enabling sharing on other sites. We’ll talk to copyright lawyer Richard Stim of Nolo on the validity of the case and the role of copyright in digital journalism. Then, we’ll talk to Northwestern University in Qatar’s Dean Everette Dennis about his new study on media use in the Middle East, and the growing use of mobile phones for news there. MediaShift’s Mark Glaser hosts, along with Mónica Guzmán from the Seattle Times and GeekWire. Meet the guests and get the facts here. What I’m most actually interested in is this Cinema app that they have attached to Instagram video, which basically lets you in post-production stabilize a really shaky video. And in my mind that has a lot of really great implications for citizen journalism, right? If you’re at a breaking news event and you’re trying to catch video, but you’re running around and it gets all shaky and it kind of lowers the quality of it. And I really like what the CEO said during the big press conference yesterday, where he said, “you know, we shouldn’t have to accept bad video.” So I really like where Instagram’s going in improving that aspect of it. Among the younger generation in the Middle East, Internet use is surpassing TV, and that could have long-term implications in the region. And that increased engagement online comes with important, unresolved questions about media regulation online, according to new research by Northwestern University in Qatar. The study paints an in-depth picture of the role of the news industry in the Arab World with responses from 10,000 people in Lebanon, Tunisia, Egypt, Saudi Arabia, Bahrain, Qatar, Jordan and United Arab Emirates. 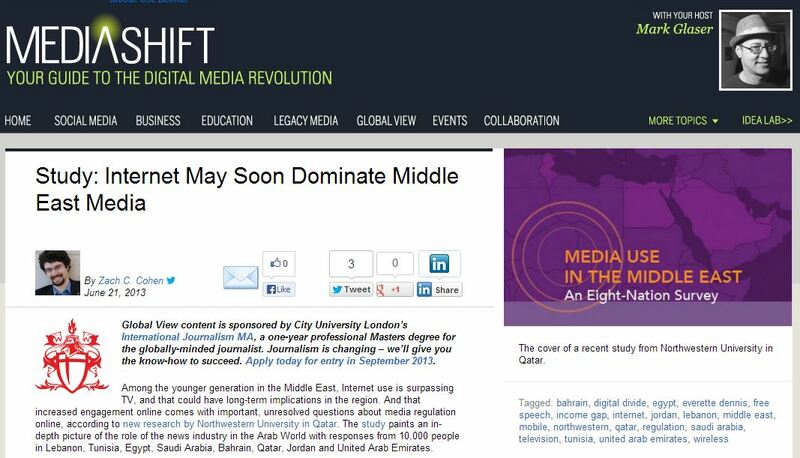 “Continuous focus on the conflicts and controversies of the Middle East affords little attention to the steady and growing media sector in the region, which has an amalgam of traditional and new platforms,” Northwestern University in Qatar Dean and CEO Everette Dennis writes in the introduction of the study. Read the full story here, as well as links to the study in its entirety. Leave it up to a child to remind us to be thankful for a natural ability most of us take for granted: A 3-year-old’s priceless face was captured on video as he reacted to hearing his father’s voice for the first time. Thanks to a microchip that University of North Carolina doctors implanted inside the child’s brain, Grayson Clamp–who was born deaf–was finally able to hear his father say “Daddy loves you.” He is the first child in the U.S. to receive the implant, which had previously only been approved for adults. It’s always an odd balance to strike: As a student, I’ve always valued summer as time to relax and not worry about homework or other academic responsibilities. But for the past two summers, I have not done that. 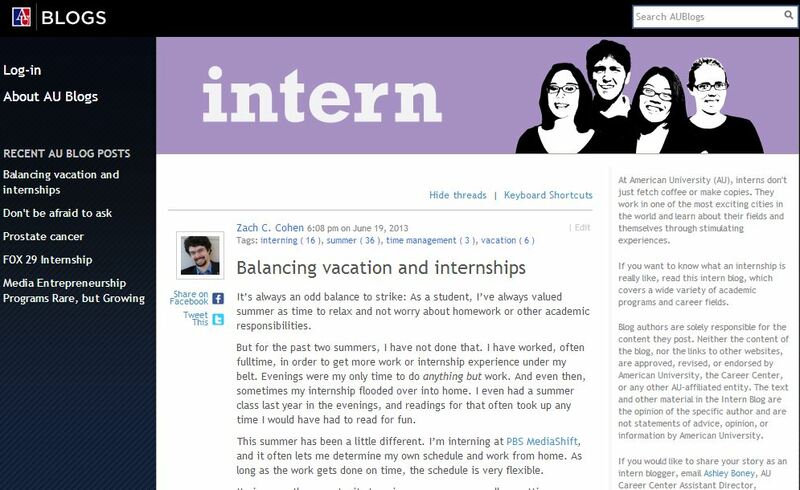 I have worked, often fulltime, in order to get more work or internship experience under my belt. Evenings were my only time to do anything but work. And even then, sometimes my internship flooded over into home. I even had a summer class last year in the evenings, and readings for that often took up any time I would have had to read for fun.